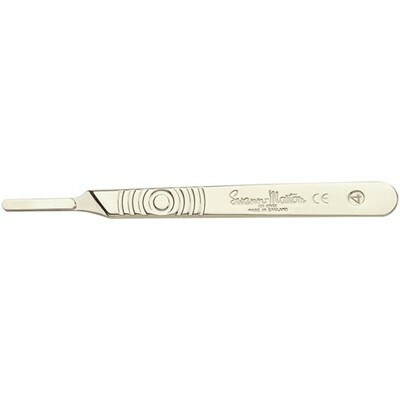 No 3 Nickel Alloy Scalpel Handle. Overall Length 130mm. The Handles are supplied non-sterile and individually wrapped.